Anheuser-Busch a leading American brewer and holds a 47.6% share of U.S. beer sales to retailers. The company brews the world’s largest-selling beers, Budweiser and Bud Light, and distributes these and many other popular brands through a strong network of more than 600 independent wholesalers. Anheuser-Busch is a wholly owned subsidiary of Anheuser-Busch InBev (http://www.ab-inbev.com), the leading global brewer, and continues to operate under the Anheuser-Busch name and logo. 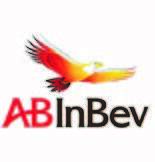 Anheuser-Busch InBev has a portfolio of more than 200 beer brands, including three global flagship beers: Budweiser, Stella Artois and Beck’s. The company holds the No. 1 and No. 2 market position in 19 countries. Alley NYC is a supportive co-working space targeted at early stage businesses, start-ups, and entrepreneurs. Alley NYC’s business model is to enter into long-term leases, build out small offices and shared workspace and allow multiple entrepreneurs and start-ups to take a small portion of the space on a short-term lease. Since opening in 2012, The Alley NYC has maintained nearly 100% occupancy and is currently managing a waiting list of over 1,500 entrepreneurs eagerly waiting to join the dynamic Alley NYC community. Samuelsohn began when master tailor Lesser Samuelsohn emigrated from New York to Canada to establish the Samuelsohn brand in 1923. In 2010, private investment and advisory firm Grano Retail Investments purchased Samuelsohn and in 2011 Samuelsohn opened its New York showroom. In 2013, Sameulsohn announced that it acquired all of the tangible assets of US-based Hickey Freeman from W Diamond Group. Jared Sippel is a revered chef who recently ran Brooklyn Fare, a 60-seat Manhattan restaurant. Before coming to New York, Sippel was the chef de cuisine at Frasca Food and Wine, the acclaimed Boulder restaurant co-owned by master sommelier Bobby Stuckey and chef Lachlan MacKinnon-Patterson. He also worked at L’Oustau de Baumaniere, a famed two star Michelin restaurant. AiCure is an artificial intelligence company that has developed advanced facial recognition and motion-sensing software to automate the process of a care provider observing patients taking their medication. AiCure’s platform has the potential to transform the lives of high-risk patient populations around the world and to revolutionize the cost-effectiveness of healthcare delivery systems. Founded in 2000, Fernando Romero EnterprisE (FR-EE) is a global architecture and design firm founded by Fernando Romero with offices in New York and Mexico City. Over the past fifteen years, FR-EE has proposed projects in a number of countries, ranging from museums and office buildings to dense urban centers and the desert. Fernando Romero is recognized as one of the leading architects of his generation. 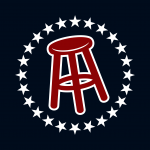 Barstool Sports is a popular satirical sports and men’s lifestyle blog founded by David Portnoy in Milton, Massachusetts. Barstool first launched as a print publication distributed in the Boston metro area offering gambling advertisements and fantasy sports projections, but later expanded to encompass other topics. Over the last five years, Barstool has seen its monthly traffic increase from 1.4 million unique viewers to 8 million. Anita Jaisinghani is a world-renowned chef who owns/operates Pondicheri Houston in Texas which averages $2.5M in annual sales. She’s also at the helm of Indika, a highly-lauded and award-winning restaurant in Houston for nearly 10 years. She has won awards and accolades from some of the leading cuisine societies in the world and is internationally celebrated for her successful restaurants. Thomas Burke is the owner/operator of three successful restaurant locations in New York City – Lillie’s, with locations in Union Square and Times Square, and Papillon Bistro in Midtown. Mr. Burke is opening a new restaurant which will be an upscale pub-style lunch and dinner restaurant/bar.